Collaborative work with JK Keller. 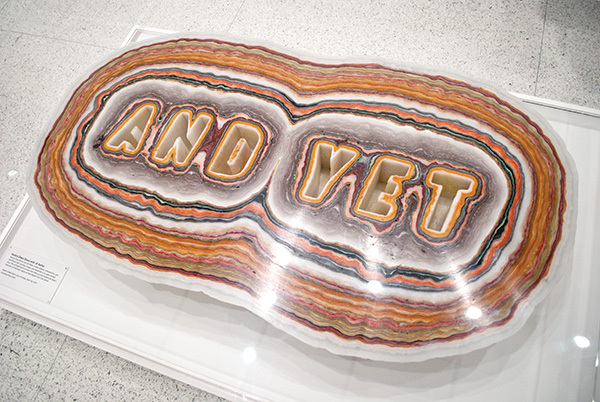 This work is featured in the traveling exhibition, Graphic Design: Now in Production at the Walker Art Center, Oct. 22, 2011–Jan. 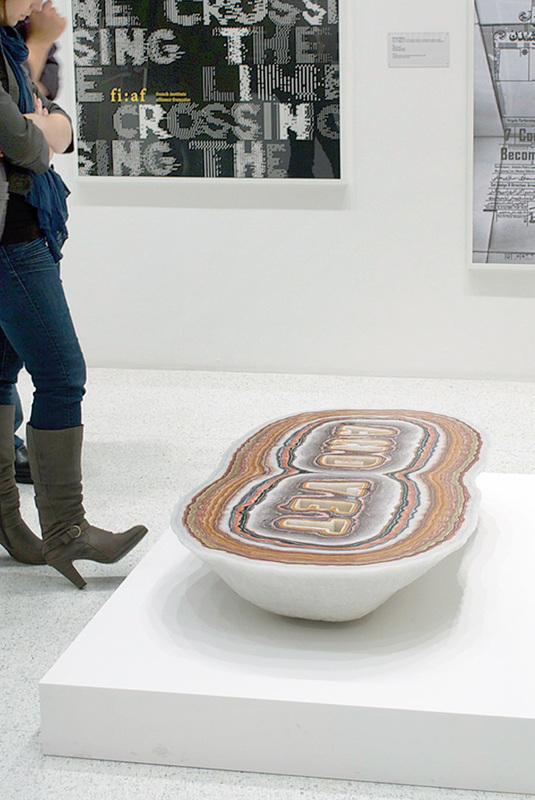 22, 2012 & in coordination with the Cooper-Hewitt, National Design Museum at Governors Island (NYC), Jun. 2–Sep. 3, 2012. It will not be available for shipment until the exhibitions are complete. This work and samples slabs are available for purchase in the Shop.